Rotator cuff injury is referred to as dull pain on one side of the shoulder. It happens to those who have to perform overhead motions repeatedly as part of their jobs or people who are involved in sports. Do you experience dull pain in any one side of your shoulder? If the pain usually worsens when you try to sleep on the involved side, you might have a rotator cuff injury. Rotator cuff is referred to a group of muscles and tendons which surround the shoulder joint. They perform the role of keeping the head of upper arm and bone firmly within the shallow socket of shoulder, explains Mayo Clinic. Rotator cuff injury usually happens to those who have to perform overhead motions repeatedly as part of their jobs or people who are involved in sports. Carpenters, painters, baseball and tennis players are a few of the people at higher risk of rotator cuff injury. Risk of developing a rotator cuff injury increases with age. The injury may be the result of progressive degeneration or wear and tear of the tendon tissue. Overhead activities done repeatedly or lifting heavy objects for a long period of time can irritate of damage tendon. Frozen shoulder can be sometimes confused with arthritis, but they aren't similar. Frozen shoulder is only related with a shoulder joint while arthritis can take place in any of the bone joints in the body. Simple exercises and awareness of muscle tension benefit office employees, and help ease their head, neck and shoulder pain. Common symptoms of rotator cuff injury include weakness in arms which makes it difficult to perform even simple activities like combing hair or reaching behind your back. Dull ache in the shoulder is the most common symptom of rotator cuff injury. It can disturb your sleep if you lie on the shoulder affected by the injury. Age is a risk factor for rotator cuff injury. The risk of developing this injury increases with age. People above the age of 40 are at most risk of developing it. Baseball pitchers, tennis players and archers are also at higher risk. Repetitive arm motions can increase risk of rotator cuff injury. Also, this condition may be involved with a genetic component and may this in occur more commonly in some families. People suffering from rotator cuff injury can recover by doing some physical therapy exercises. These exercises can help in improving flexibility and muscle strength of shoulder joint. But, if not treated, the injury may lead to permanent loss of motion or weakness. It may also result in degeneration of the shoulder joint which may be progressive in nature. It is important to put your shoulder to rest when suffering from rotator cuff injury. 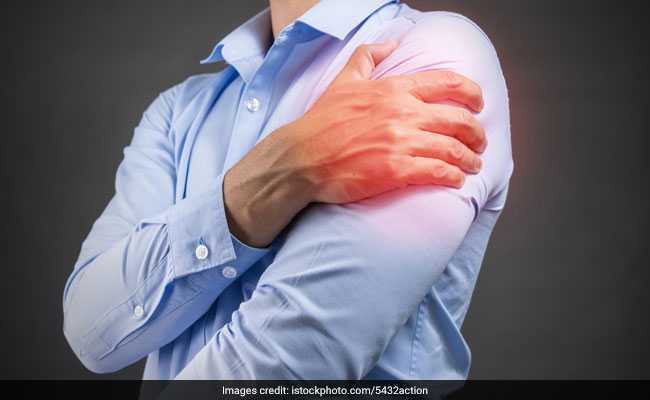 However, not moving your shoulder for long time can make the connective tissue enclosing the joint tight and thick. 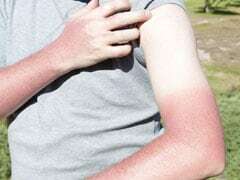 This phenomenon is known as frozen shoulder. Medical care is needed in case of rotator cuff tearing off from a single injury. Joint replacement or surgical repairing of joints may be required in this case. According to healthline, outcomes of the surgery do not depend on when the surgery is done. A doctor is more likely to suggest non-surgical treatment methods like hot or cold packs that can help in reducing swelling. Certain exercises can help in restoring the strength and range of motion of your shoulder and arms.